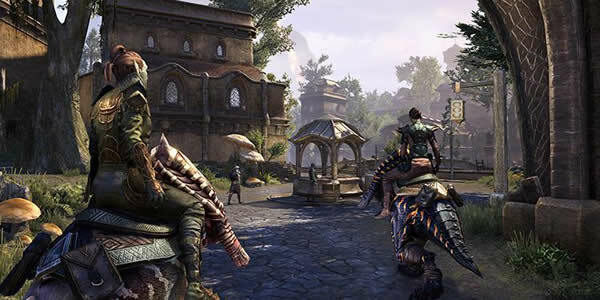 Summerset is new update for the Elder Scrolls Online, Summerset opens up Summerset Isle, the home of the High Elves which hasn't appeared in an Elder Scrolls game since Arena, the first game in the series. In addition to the main story line, Summerset lets players join the Psijic Order of mages and learn their combat skill line of time-control spells. In addition, there are new group PvE challenges and a 12-player Trial called Cloudrest. According to Bethesda, the Summerset island is even bigger than Vvardenfell that was added last year. It is also the first time in an Elder Scrolls game that players can explore the city of Arthaeum, home of Psijic Order. Furthermore, their magic can also be controlled to gain control over time. Summerset Isle is the home of the Thalmor (ie High Elf) people who have only recently opened their doors to our own kind of wanderers. Eso-gold.com now growing and expanding, and is specialized in selling cheap eso gold. Once the expansion is released, players will be granted access to a new zone, the Isle of Summerset. Summerset Isle is now open to foreigners, but a Daedric threat looms over the breathtaking home of the High Elves.Travel to the Summerset Isle, reunite with old friends, and unravel a shadowy conspiracy that threatens all of Tamriel. The Elder Scrolls Online is already around four years old and offers an online experience for fans of the RPG series.